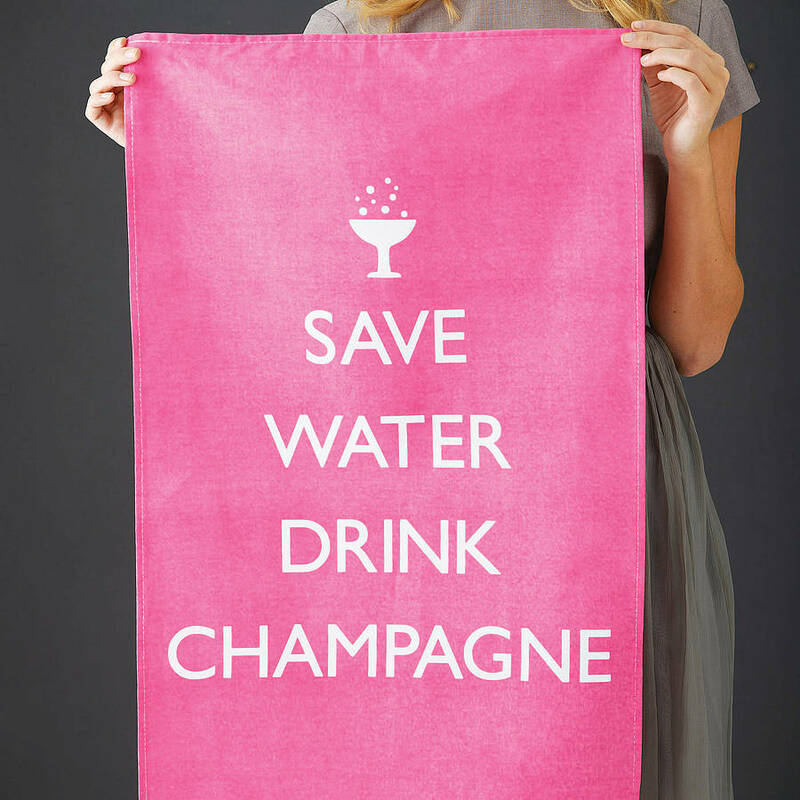 ‘Save Water Drink Champagne’ Tea Towel by Catherine Colebrook. Great Christmas, birthday, wedding or housewarming gift, or simply ‘saw this and thought of you’ present! 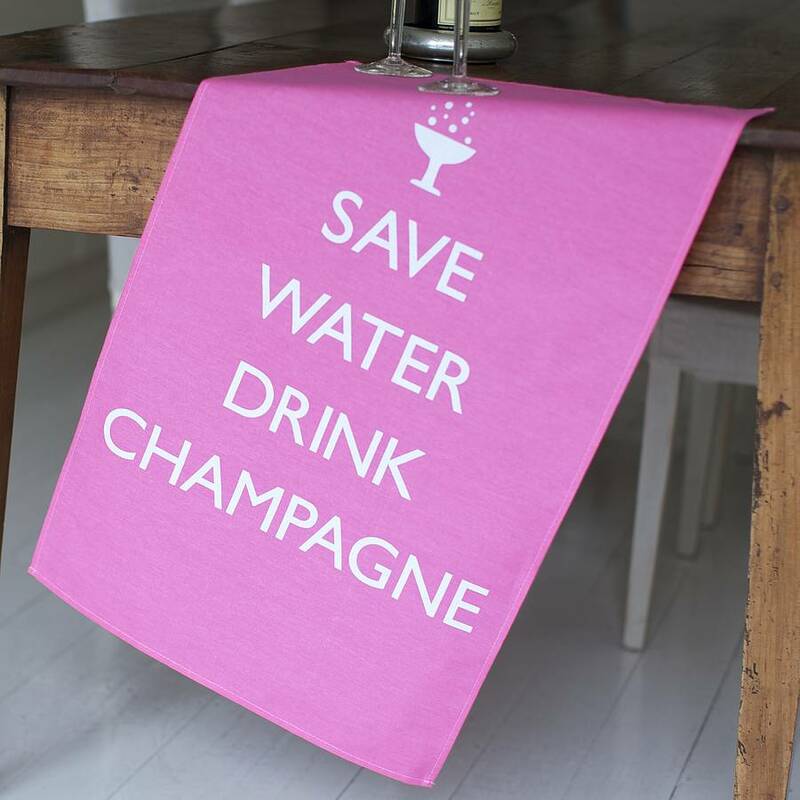 Why not use it as gift wrapping for a bottle of champagne: something to drink now – something to dab your mouth with later. Find it here.